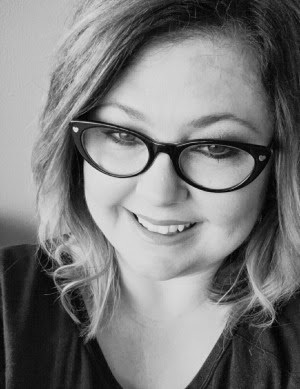 Hey lovelies!!! 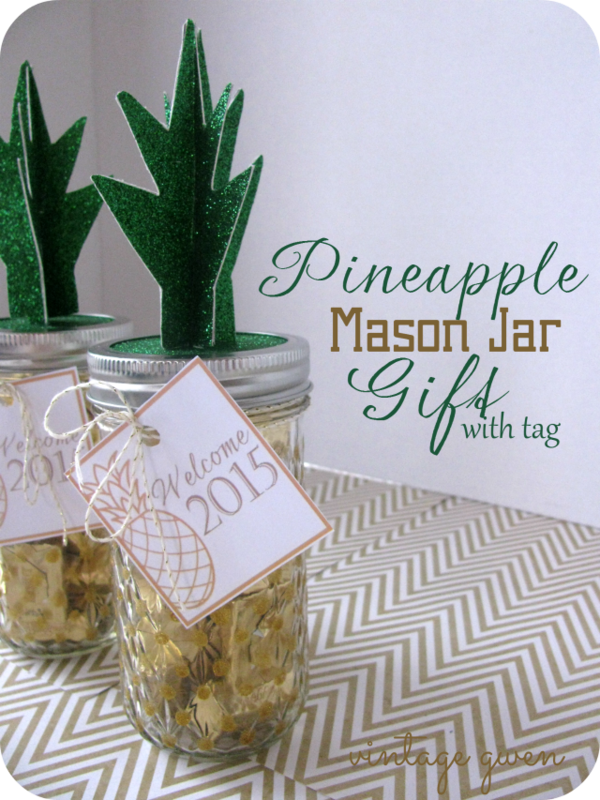 Here's my Pineapple Mason Jar gift idea in case you missed it a couple of weeks ago at Tatertots & Jello! 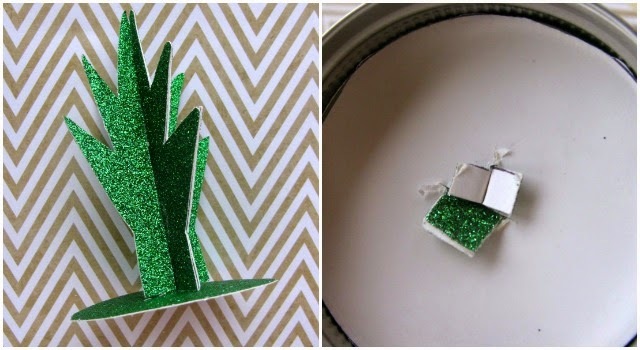 This was so easy to do and required no fancy craft machines!! Lovin' the pineapple right now, such a great symbol of welcome, hospitality, and prosperity. 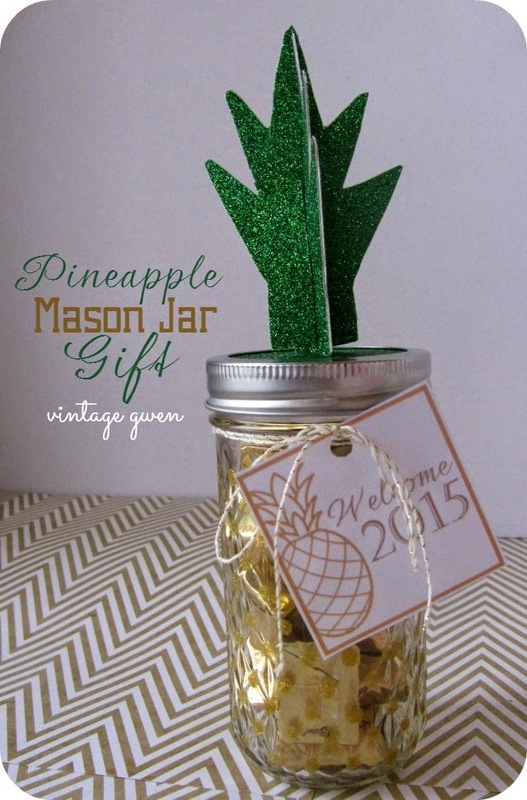 You could totally fill this with what ever you want....dried pineapple might be fun! Chocolate is always a hit in my books! 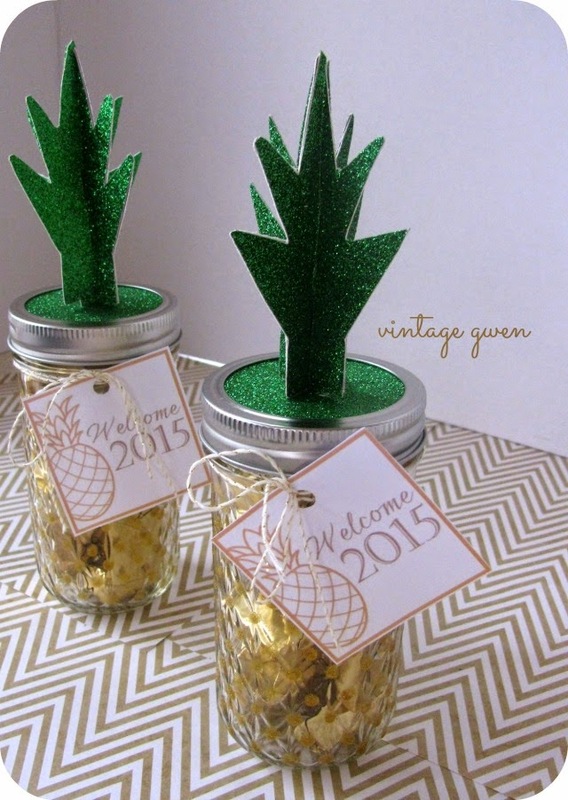 To make the pineapple leaves I took the top part of this template and printed it out and traced onto green glitter card stock adding about 1/2 tab at the bottom. 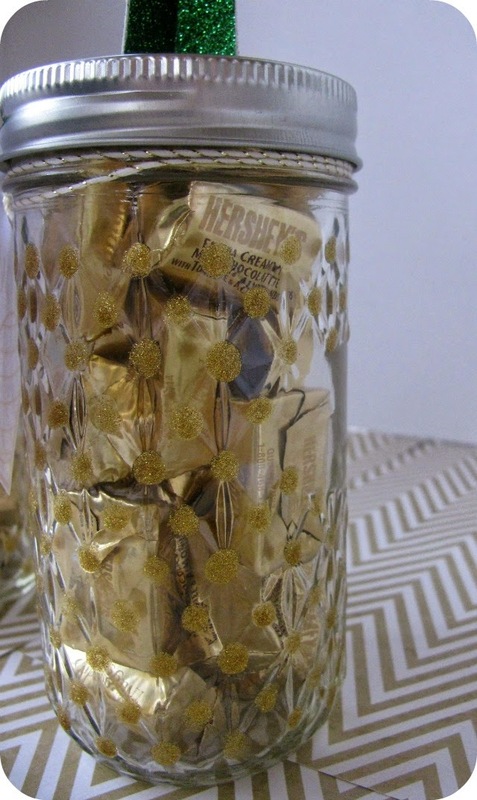 I cut 4 for each jar so I could glue 2 together to have glitter on all sides. Then I traced the lid and cut out a green circle. Using an Xacto knife I cut slits in center of the circle. Then I cut a slit in the bottom up to the center of one leaf and then from the top down on the other leaf. Slid them together and pulled tabs through the circle and folded back. I gingerly pulled the leaves through the lid ring and wallah....a pineapple top! 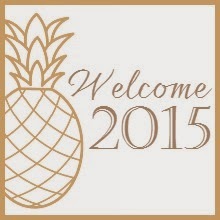 The finishing touch is a 'Welcome 2015' tag. Add a gold wrapped candy and done!